Ahead of ‘Impvasion’ tomorrow, we take a look back to when our local team, Boston United, upset the odds back in 1955. Lincoln City FC travel to Arsenal for their FA Cup quarter final tie tomorrow evening and will be looking to cause arguably the biggest shock in the competition’s history. With giant killings on the mind, we are turning our attentions to a huge shock involving another Lincolnshire team, which took place over 60 years ago. Boston United are the Red Bus Cartridge Company’s local team, with their York Street Stadium being just a five minute drive from our Marsh Lane headquarters. United were drawn to face fellow Midlands side Derby County away from home in the second round back in 1955, with the game taking place on December 10th of that year. So, with a win bonus of a reported £35 per player (£500 in today’s money) up for stake, the Boston side, containing six former Derby personnel, made the 70 mile journey to the Baseball Ground, ready to cause an upset. Over 23,000 people watched on in sheer disbelief as United recorded a staggering 1-6 win, with goals from Geoff Hazledine, Ray Wilkins (not that one) and Johnny Birkbeck. The result certainly shocked the entire UK footballing population, especially after the News Chronicle had stated that "Of all the tiny clubs fighting for cup glory this weekend, none has a dimmer chance than Boston". It was Derby's first home defeat of the season and their third heaviest defeat ever in the competition. Geoff Hazledine, who got a hat-trick that day, emphasized how much self-belief was in the Boston camp: "I played my best individual game that day. We knew we were going to win. Most of us were old Derby players, throw-outs if you like. We had a point to make. On the day we had more skill and talent than they had. We attacked them from the first minute, and I could see the looks of astonishment on their faces as we piled forward. With any luck we could have got ten that day!" The result is still a record away FA Cup win by a non-league team against league opponents. 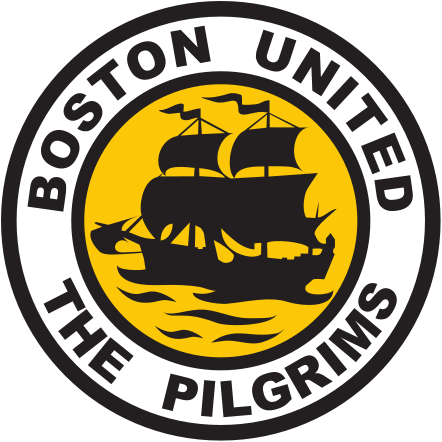 Lincoln City FC and Boston United are separated by just over 30 miles. If the Imps use this 1955 result as motivation and channel their Boston counterparts from 60 years ago, then they might just cause a surprise tomorrow. We want to wish the Imps the best of luck and no matter the result, they have already done Lincolnshire proud!